Monday - Friday from 9 am - 5 pm. 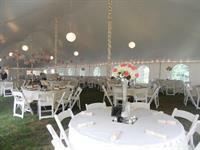 Allerdice Party Rental-All has been in the party rental business in the Saratoga and surrounding area for the past 20 years. We are excited about this new acquisition and look forward to building new relationships. We have moved to our new location formally Alleridice Party Rental-All's location at 30 Storage Lane, Saratoga Springs.